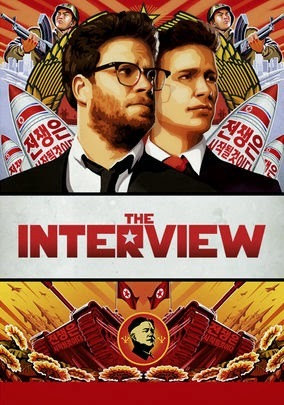 No film in the history of cinema has had more press than the Interview. It almost started a war and made world headlines for almost a week, still it lost money, and is considered to be one of the biggest flops in recent history. In The Interview, the hottest duo in comedy, Seth Rogan and James Franco team up for their third feature film together. This time the pair play a TV talk show host and his producer respectively. Their show is like a combination of Maury and TMZ, and is considered by most in the media to be a joke. Wanting to change that image, the team decide to get in contact with the reclusive leader of North Korea, Kim Jong Un, for his first televised interview. Once announced, the duo is contacted by the CIA, who wishes to recruit them to take Un out. The first time I saw Rogan and Franco together was in Pineapple Express, and I thought it was one of the funniest films I'd ever seen. They have terrific chemistry and I expected great things from them in the future. It might have something to do with the fact that their characters are always so similar, but the more I've seen them together, the less impressed I've been. Seth Rogan is kind of annoying to begin with, especially that chuckle of his, but it's usual balanced out by Franco's extreme behavior. In the Interview, this dynamic didn't work, as Franco's character and portrayal was even more annoying than Rogan's. The cameos may have been impressive and so was all the attention this film received, but the truth is that many of the jokes were amateurish, and the film was a giant step back from Pineapple Express. When people work together, especially comedic duos, the films are supposed to keep getting funnier and more outrageous, but Rogan and Franco seem to be going the other way. The Interview isn't a great story and it isn't that funny, in fact, it's more frustrating than anything else. I love both Seth Rogan and James Franco, they've both given me hours of quality entertainment, but sadly enough, I can't add the Interview to that list, as it's bark was much worse than it's bite.